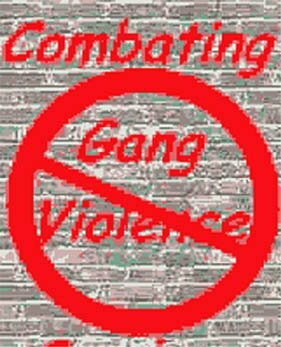 The physical abuse of gangs against single individuals it is awful, unethical, and an act of genuine cowardly. Nothing for real men. Deliberate adult physical violence against children or teenagers is more than horrible. But a gang of soldiers with helmet, boots, equipped with sticks and firearms weaponry, beating on and on some children until they collapse in pain, has no term, no noun, and no verb to be referred. Provided that exile for many of us it was an external determined fact (forced migration, as it is called in modern times. The original name being ostracism), the main question is not why are we here but whether destiny has given us a worth reason to die in another place than we were born. Attending a private memorial at a churchyard in the neighbourhood on the morning of New Year’s Eve, I realized that I have lived in Sweden the most part of my life, altogether, more than thirty-two years. I was then confronted to the following quest. 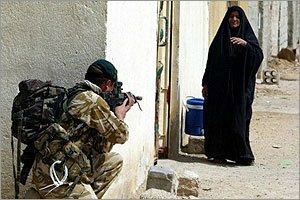 What could I say on what is it good and what is it bad in this, my country of exile? Frankly, I found very many good things. And I found just very few negative ones. 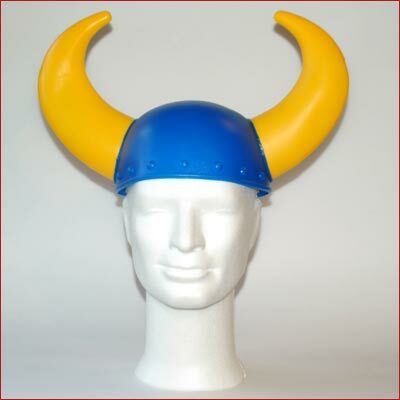 Sweden may not be the hyper fantastic country which some advertise. However, in comparing this country with all rest, very many of us would hardly find a better one to live in, considering the overall factors. The theme developed here is about one of those few things. I was told of this story by a psychiatrist, working at that time at Danderyd Hospital. She is in the subway towards her job. Just a bid away from where she is seated, three skin heads start, unprovoked, harassing an immigrant woman. The woman just seats there, looking down to the floor. The skinheads get more and more excited. "Suddenly, the skinheads start to hit the woman, now and then, here and there", she described. "A Swedish man in the seat beside, well dressed, and around the age of 35-40, gets apparently very upset with what we witness. He then takes quietly out his cellular, and makes a call speaking in a soft voice. " - "I called the police" - the man said to my friend "looking with a genuine satisfaction on his face, and proud in his air of appearance." My friend tells me she could not hear however what he exactly said over the phone. Rightly, two subway-stations after, two police officers - a man and a woman- enter in the wagon equipped with a decisive attitude and with their batons on hand. They go directly where the crushed and beaten immigrant woman is, handcuff her, and hurriedly took her out under arrest. That was all, and the train continued. Peace in Sweden could go on. End of the letter. The above story was told to me several years ago. Some details have may fade away and others must have changed through the several memories elicited differently from time to time, whenever a similar case of abuse - like the one I refer at the end of this chapter - pops up in my reading horizon. One problem that always has puzzled me about modern Sweden is that Swedes do not always intervene when confronted to the sight of physical abuse to defenceless victims on the streets, subways, public places, etc. I do not imply that they do not react. They surely do, but it is not allways expressed in a more concrete fashion. I have been living here for more than 30 years (after been a Geneva Convention refugee, which was after I have been in Italy, which was after I have been in Pinochet's concentration camp of Quiriquina Island, which was after I was professor at the University of Concepción, which was after I participated in the foundation of MIR - a movement of the new left of the sixties). I could say that during this long time in Sweden I have not seen here often, or hear often, on others than immigrants to stand up for the one beated up, regardless ethnicity. The above personal impression, also based on my readings, while it may be true is nevertheless not utterly just. For there are notorious cases in which young Swedes have even sacrificed their lives when intervening and combating gang violence on behalf of the individual defenceless. So it was not before, generally speaking. In the early seventies I visited Sweden as university student. I lived then in Frescati, the university campus in Stockholm. It was definitely wilder that it is now (me included). Many things could happen. In most of those things there were the Swedes, intervening, rescuing, and behaving. What has happened? Is it violence which has changed? Is it people's sense of solidarity? Or both, or more? A Swedish taxi driver in Umeå, commenting the harsh violence of gangs beating up some one guy "already on the ground", told me: "In our times, when I was young, this never could happen in Sweden". "Certainly we had fighting, but never this way, it was more fighting as a man", he said. What did he concretely meant I could only guess. But in this case I reckon I guessed right. 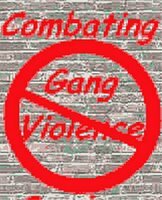 The physical abuse of gangs against single individuals it is awful, unethical, and an act of genuine cowardly. Nothing for real men. Deliberate adult physical violence against children is more than horrible. But a gang of soldiers with helmet, boots, equipped with sticks and firearms weaponry, beating on and on some children until they collapse, has no term, no noun, and no verb to be referred. It is just to be fought against. I saw at BBC news a glimpse of the video reproduced from News of the World. We saw it suddenly popping up among the news, in family. 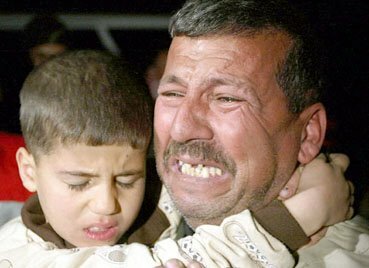 While some could not stop the tears, other felt a stiff clump in the throat. But also we felt something distinctly else. 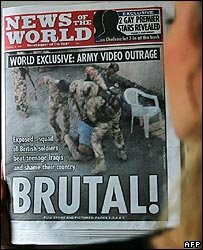 I have found today the original version of the video by News of the World. It is more detailed than the news version of BBC, Sky news or SVT. In the SVT short-edited version the most relevant and dramatic sequences of the video are replaced by the pictures and interview of Tony Blair! Here below I show a video I did film myself directly from the TV screen while Skynews went on. I take my risks in showing it here with the hope of having my Swedish and immigramt colleagues of all adult ages reacting as the old taxi man in Umeå. I expect to share not only my sorrow, but also my rage.